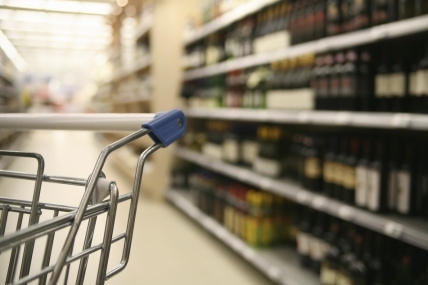 Kantar Worldpanel Vietnam, the global market leader in consumer panels, reports a modest growth of FMCG (Fast Moving Consumer Goods) market during the latest 12 weeks up to May 19th 2013 compared to the same period last year. The Vietnamese economy continues to suffer from slow reforms. Consumer Price Index in May reports a decline compared with April as domestic demands remain low. Influenced by general economic deceleration, the FMCG market growth is now alarmingly low at +7% in Urban and +9% in Rural areas, and even stagnant in volume. Most key channels in Urban witness a moderate growth due to an overal slow-down in FMCG market. Under continued economic downturn, Hypermarket and Supermarket become less appealing as reflected in its stagnant growth recently. Meanwhile, Ministore remains its robust performance over this period with +91% gain in value thanks to a continuously expanding shopper base with more frequent shopping pattern. In Rural, though still a minor channel, modern trade keeps booming with a rise of +17% in value compared to one year ago. Once again, Dairy leads all sectors in terms of value growth at +12% in Urban and +20% in Rural. During the examined period, Dairy sector wins the Hot Categories with Functional Drinking Yoghurt in Urban (+ 15% in volume) and Cup Yoghurt in Rural (+15%) thanks to new buyer recruitment. Driven by real demand, Vietnam dairy market has been shining within the SEA region with double-digit growth even in tough economic conditions. Today, dairy plays the most important part in FMCG wallet of urban families, and enjoy the leading growth in rural recently. In the next 3 years, Dairy is expected to become more essential for Vietnamese consumers, especially in Rural where it holds the third position in the FMCG basket. Beside the increased health concern of Vietnamese consumers, the wider availability of fridges in-home will also help facilitate the development of this sector. Read the previous FMCG Press Release here.